Purchase the book here or here. Currently, there is a paradigm clash between different visions of the nature of psychotherapy. The clash is not merely about what psychotherapy is, how it helps, and how it should be practiced. It is also about the nature of scientific evidence and what the evidence shows about effective practice. In the forward to this book (Elkins, 2016), Barry Duncan argues research supports the idea that the effectiveness of psychotherapy is largely due to the therapist, the client, and their relationship. By contrast, those who favor so-called empirically supported treatments argue the evidence supports the predominance of the use of specific techniques for specific disorders. Baker, McFall and Shoham (2008), have gone so far as to label the therapeutic relationship and other common factors as “marginal” scientific constructs. Could there be any clearer evidence of how polarized these different visions are? In this book, Dave Elkins (2016) develops the relational side of the argument. I am not writing here to promote either side, although I have been identified with the relational side paradigms (Bohart, 2000). Instead, I am here to evaluate Elkins’ contribution to the discussion. Elkins’ basic thesis is that there is a paradigm revolution taking place, with a relational model of healing in psychotherapy ascending. He is not the first to argue that relationships heal in psychotherapy. Others (e.g., Greenberg, 2014; Schore, 2012) have argued for the healing power of the relationship on the basis of neuroscience and attachment theory. However, Elkins is one of the first to frame the argument in the context of the empirical debate between those supporting what he calls the “medical model” (focusing on a diagnosis-treatment paradigm), and those who support a relational model (see also Wampold & Imel, 2015). The advocates of relational points of view, of which I have been one, have been so busy defending against attacks from empirically supported treatments advocates that they have not spent as much time on developing a proactive relational view. Elkins book attempts to do this. In the first chapter, Elkins reviews the evidence for a “nonmedical model” of psychotherapy. He draws a distinction between a model emphasizing human relational aspects and the medical model. The diagnosis-treatment paradigm has been dominant due in part to the fact that those who fund health care think in its terms. In a medical model of treatment, the physician (or psychotherapist) diagnoses a condition or disorder, and then “treats” it with various strategies (e.g., drugs, exercise, surgery, radiation, various psychotherapeutic exercises and techniques). The healing aspect resides primarily in the techniques employed, with specificity of disorder and a tailored symptom-oriented treatment preferred. It is this model that underlies the development of empirically supported treatments (e.g., Chambless & Hollon, 1998) and subsequent controversy over that notion (Norcross, Beutler, & Levant, 2006). Few in modern medicine would discount the importance of the physician-patient relationship. However, the relationship (sometimes relegated to the term “bedside manner”) is seen as providing an auxiliary role. The good healing relationship is a context wherein the physician can most effectively diagnose and provide treatment. The relationship therefore functions primarily by helping calm the patient and enhance compliance. Although there is some evidence the relationship may also facilitate healing (e.g., Del Canale et al., 2012), the role of the relationship in medicine is still primarily that of support for what the physician does. This is the method for psychotherapists who think in terms of the medical model. Goldfried (1997), for example, has pointed out the relationship in cognitive-behavior therapy largely functions as an “anesthetic” which allows the “surgery” of effective interventions to take place. By contrast, Elkins (2016) argues it is the relationship that heals; diagnosis of specific disorders and treatment with specific interventions is unnecessary. He cites evidence supporting the relational model over the diagnosis-treatment model. In a nutshell, Elkins relies on evidence from meta-analyses showing all approaches to therapy work about equally well for most disorders. If vastly different approaches work equally well, and there is no evidence for differential effectiveness for virtually all disorders, it becomes difficult to argue the specific techniques or interventions are “doing the work.” Furthermore, the notion of underlying “common factors” accounting for effectiveness is supported (e.g., Duncan, Miller, Wampold, & Hubble, 2010; Wampold & Imel, 2015). The common factor for which there is the most research support is the therapeutic relationship (e.g., Norcross, 2011). 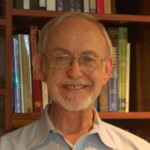 Elkins (2016) claims the relationship is the intervention; psychotherapy is an expression of healing through human connection and social interaction. He cites research showing how important relationships are in human development. He spends one chapter looking at attachment theory and social healing aspects of relationships (Chapter 2), and another exploring how humans have been “built” by evolution to develop and preserve their social and emotional well-being through social relationships (Chapter 3). He also looks at how we are neurologically “wired” to respond to one another relationally. He then reviews the 1800s practice of Moral Therapy (Chapter 4), which had among the best outcomes ever for the treatment of psychosis, and is an exemplar of a relational perspective. He concludes by exploring the implications of his thesis for therapy research, practice, and training (Chapter 5). With Elkins’ (2016) focus on the pro-relational view, this book is not a critical evaluation of research on both sides of the issue. It will not satisfy critics from the technique-oriented side of the argument. I suspect such critics would question Elkins’ conclusions on the strength of the relational evidence. They might point out that most of the evidence supporting the importance of the relationship in psychotherapy is correlational. For instance, the evidence that the relationship, as rated by clients early in therapy, predicts outcome may be confounded by the possibility that those who are succeeding in therapy early may simply rate the relationship as stronger. In making his argument, Elkins (2016) cites both attachment and neuroscience evidence, such as research on mirror neurons. While the body of research on attachment in psychotherapy is increasing, it has not been shown that the attachment relationship between therapist and client is the healing factor. In addition, critics might point out that the existence of mirror neurons has yet to be demonstrated as providing a basis for the complex interpersonal skill of therapeutic empathy, although the analogy underlying it is intriguing. In sum, if you are a believer in empirically supported treatments, Elkins’ book will not convince you. However the purpose of the book is not to rehash the debate between the different points of view, but rather to attempt to strike new ground (Elkins, 2016). It is odd in some respects, given the research on attachment and other research on the direct impact of relationships on both physical and mental health, that there is still a battle over whether a relational healing component is pertinent to psychotherapy, beyond the role of the relationship as support for technique-based interventions. It is valuable to have someone lay out an argument like Elkins has, independent of the issue as to whether specific interventions are useful as well. I do have some criticisms. First, the book is short. Elkins’ (2016) reviews of the research in various areas are brief and not comprehensive. He only briefly sketches out how attachment theory and neuroscience play into psychotherapy. 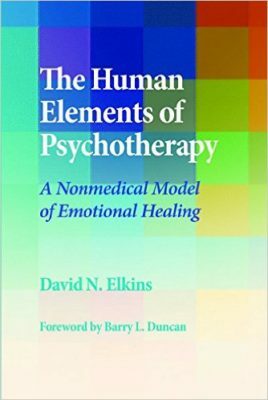 I would like to see a follow-up in which Elkins more thoroughly examines the research on psychotherapy, documents the attachment and neuroscience literature in more detail, and then fleshes out an innovative model of how that literature supports the primacy of the healing power of the therapy relationship. Second, I am less sanguine than Elkins (2016) about a paradigm revolution taking place. Empirically supported technique-oriented treatments remain dominant in training programs and in various practice settings. I believe it is fruitless to try to make it either/or. It is possible there are multiple ways to human healing. I have tried to hint at that possibility myself with a theory of the client as active self-healer (Bohart & Tallman, 1999). We argue that clients take whatever positive elements therapists offer and use them to self-heal—be they techniques or the relationship. It is entirely possible interventions can heal and that a separate pathway to human healing runs through relationships. It is even possible to imagine the two paradigms co-existing. In this case, it will be left to the future to figure out how they fit together. At any rate, Elkin’s book is an important, valuable, and useful contribution on the side of articulating the argument for a relational model of healing. Goldfried, M. R. (1997, April). Cognitive-behavioral theory and technique for psychodynamic/non-behavioral therapists. Workshop presented at: Convention of the Society for the Exploration of Psychotherapy Integration, Toronto, Ontario, Canada. Schore, A. N. (2012). The science of the art of psychotherapy. New York, NY: Norton. Wampold, B. E., & Imel, Z. E. (2015). The great psychotherapy debate: The evidence for what makes psychotherapy work (2nd ed.). New York, NY: Routledge/Taylor & Francis. Book Review of "The Therapeutic Imagination" Attachment Theory & the Psychotherapy Relationship Book Review of "From the Couch to the Circle"